If you missed out on attending Microsoft Ignite 2018 or if you attended but didn’t make it to a session or two on your must-see list, you can now access the sessions online. Microsoft recently unveiled an on-demand sessions page where interested parties can watch keynotes, talks, and even access hands-on labs from this year’s conference. Here’s what you should know about the conference and the on-demand videos. At the conference, Microsoft unveiled a number of new products, offerings, and features that could be useful for developers, enterprise users, and anyone with an interest in cutting edge tech. More specifically, the event featured talks about the end of the password era for increased cybersecurity, new AI capabilities and how the technology can shape everything from product development to worldwide humanitarian efforts, and new IoT and computing products that could make a major impact on the future of how organizations operate. For those who use Microsoft products specifically, there were also announcements about new features and integrations that could be of interest. For example, the company shared about the new availability of SharePoint and OneDrive within Microsoft Teams. Speakers also demonstrated various aspects and upgrades of Microsoft 365, Visio, and Yammer. Whether you’re interested in learning about specific product features or overarching initiatives from Microsoft, you can check out the video content to get a full explanation. 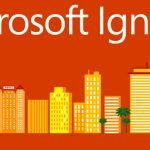 If you’re interested in viewing specific sessions from Microsoft Ignite 2018, simply visit the website and use your existing Microsoft Tech Community login to access the on-demand page. You can also create a free account if you don’t have a current login. Once you’re on the page, browse popular sessions or search for the ones that are most relevant to your interests. There are several pages of video content available, so you should have enough to occupy all your time until next year’s Ignite conference.